March 30, 2011 – The new role of forgiveness in the world raises serious and complex questions: Why is it in the air today as never before? Has it been cheapened, or deepened, or both? What does this say about us and the times we live in? Releasing on Digital and DVD on April 26, FORGIVENESS: A TIME TO LOVE AND A TIME TO HATE, a documentary in two acts, explores the power, limitations and, in rare cases, dangers of forgiveness. Award-winning director Helen Whitney’s comprehensive film covers a range of personal and political stories – from emotional betrayal and physical violence to a nation’s struggle to reconcile after genocide. In focusing on specific instances of affliction, FORGIVENESS hones in on the complexities of these acts and how they affect our lives and our relations with others. “Whether we believe forgiveness comes from God or man, that it comes with conditions or is freely given, what is indisputable is that its power is real, and that it is sweeping and even immodest in its reach,” says Whitney. Act One: The private realm: Personal stories include the unconditional forgiveness of the Amish immediately following the shooting at Nickel Mines schoolhouse – and the Jewish response to it; Kathy Power and her struggle to understand and atone for her violent revolutionary actions in the radical era of the 60s; the destructive consequences of a too-easy forgiveness offered by a young victim of a brutal assault; and the forgiveness that “saved the life” of an AIDS victim. Act Two: The political realm. Forgiveness and its close cousins, reconciliation and apology, have an ever growing political dimension: they have migrated into the lives of nations. Act Two explores stories from around the world, including: modern Germany’s penitential journey; Rwanda’s genocide and attempts to reconcile; South Africa’s Truth and Reconciliation commission; Australia’s recent and remarkably effective apology to the Aborigines; and Turkey’s failure to acknowledge and apologize to the Armenians. The documentary will air as a two-part series on PBS stations nationwide on Sunday, April 17 and 24 at 10 p.m. ET. A companion book authored by Whitney will publish early April, with a preface by the Dalai Lama. 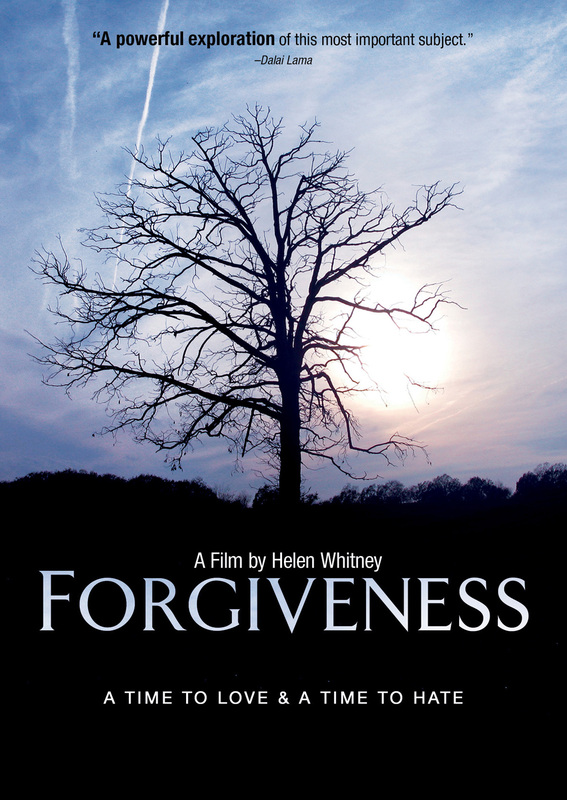 FORGIVENESS is directed, written and produced by Helen Whitney; executive produced by Paul Dietrich and Ian Watson; edited by Ted Winterburn. The DVD includes extended bonus sequences.